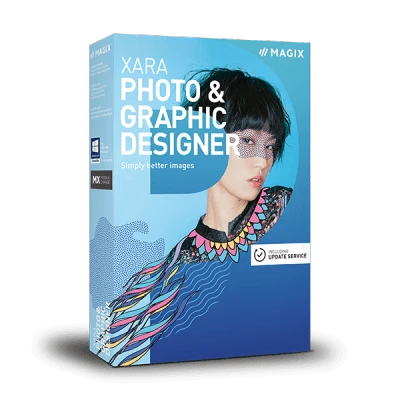 Realize all your ideas with Xara Photo & Graphic Designer! From photo collages to print documents and digital art works: Get impressive results fast! 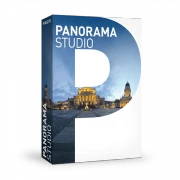 Easy adjustments to brightness, contrast, color and saturation or detailed photo retouching – the program includes everything you need to optimize your images. Create stunning posts for Facebook, Twitter, Instagram and LinkedIn in no time at all: Just choose a social media template, think of a short text and post – done! Thanks to Magic Resize, you don't have to make endless posts for Facebook, Instagram and other social media platforms. Simply format one post with the right size category without distorting the images. For noticeably higher performance from your PC: Processors are utilized optimally in Xara Photo & Graphic Designer. Discover the Online Content Catalog* with over 1 million freely available stock photos, graphics, illustrations and SmartShapes that you can easily access and use at any time – privately and commercially. ** With the update service you will receive one full year of new features and updates for free, which can be used indefinitely. If you reinstall the program after one year, you will have access to the basic version without Update Service. After the one-year update service has expired you can extend it for a discounted price.